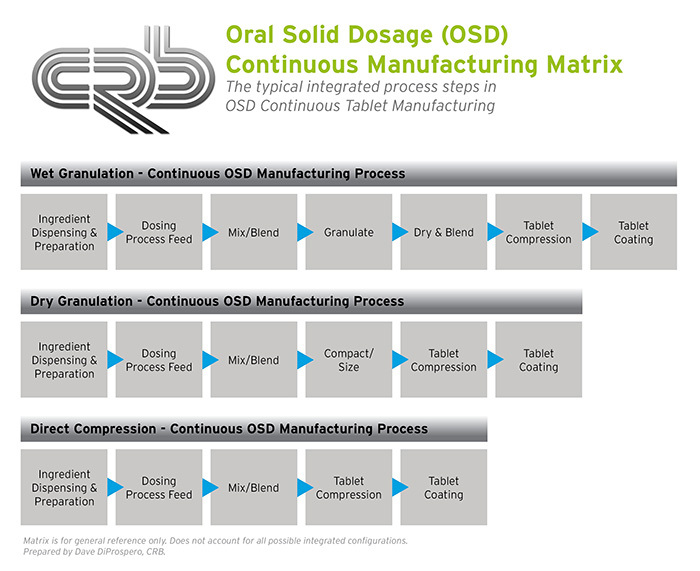 For those of us working in the pharmaceutical OSD form manufacturing sector, we have seen the intense interest and strong emphasis recently being given to the continuous OSD manufacturing process as an alternative or addition to the traditional batch manufacturing process. This CRB blog will highlight a few of the main reasons why this is occurring. 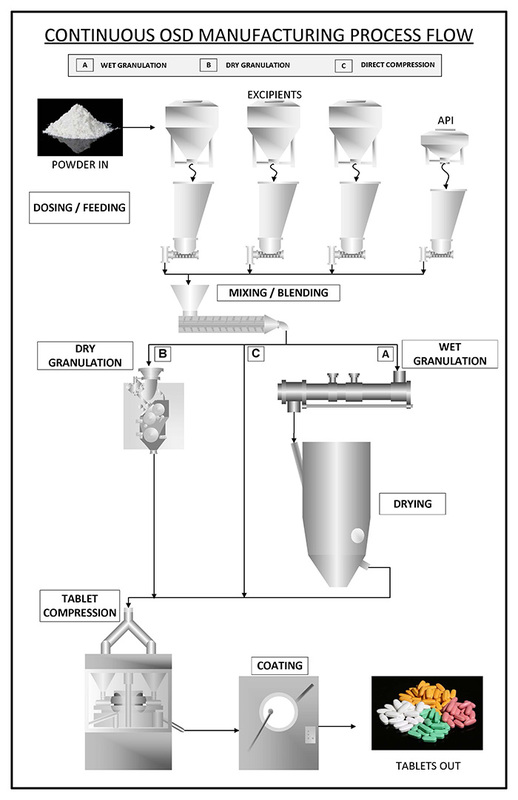 With the recent FDA approval of Janssen Pharmaceutical’s transfer from batch process to continuous process manufacturing for the HIV drug Prezista® in April of 2016 and the July 2015 approval of Vertex’s cystic fibrosis drug Orkambi, also being manufactured via continuous processing, the stage appears to be set for additional continuous process approvals of many more tableted prescription products that have typically been manufactured via the traditional batch process. The reasons for this paradigm shift are becoming clearer and more defined as more and more pharmaceutical companies begin to engage in product development and transfer using continuous OSD manufacturing process methods and technologies. David DiProspero is the director of pharmaceutical process technology at CRB in our Philadelphia, Pennsylvania office. How Can David DiProspero Help?